Scheduled to be released in January 2017, the BenQ SW320 is already drawing a lot of attention as it will be the first 4K HDR computer monitor. Intended particularly for high-end professional photographers and designers, this monitor will satisfy even the most demanding requirements with its 10-bit IPS panel’s color accuracy, HDR10 compatibility, and exclusive features. The BenQ SW320 offers a stunning 4K display with 99% sRGB and Adobe RGB color accuracy in addition to the 87% cover of the DCI-P3 color spaces which is an even wider range of colors than sRGB, required for high-quality digital movie projection. The 10-bit IPS panel delivers state of the art technology regarding the color accuracy, making this monitor’s target consumers strictly professional designers and alike. The IPS panel also provides you with the 178 degrees viewing angles both horizontal and vertical which allows for rich and vivid colors at basically any angle you’re looking at the screen. The HDR10 compatibility surpasses picture quality of any other computer monitor and delivers the picture brilliance previously only achievable by high-end TVs. The High Dynamic Range ensures an extended range of black and white color levels, but also delivers higher quality levels of all the colors in between, allowing you to enjoy in natural and life-like image quality. In short, the HDR makes sure that the vast amount of pixels on a 4K display are also richer in detail. Along with the HDR10 compatibility and the 14-bit 3D Look-Up-Table, professional videographers, animators, graphics designers and alike will be able to deliver impeccable video and image products. The 14-bit 3D LUT ensures a comprehensive and correct overview of the work before it is done, making sure that what the editors see while designing manifests into the identical finished product. The Adobe RGB color depth and accuracy delivers stunning image quality of the outdoors and nature pictures with the enhanced blue and green color levels. Such quality provides the professional photographers with all the tools they need for the final publication of their work; while the sRGB and DCI-P3 color accuracy allow the professional video editors and animators to create high-quality 4K HDR post-production videos. 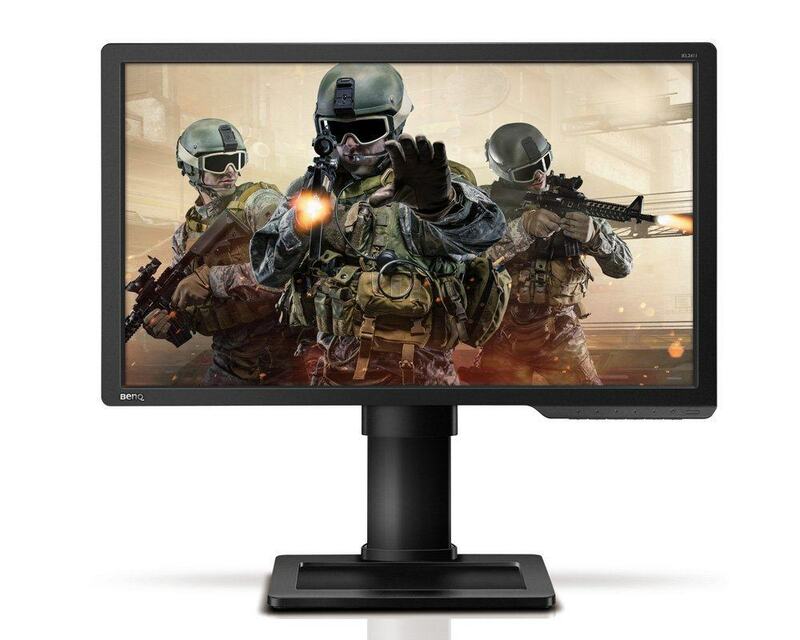 The response time of 5ms in the fast mode and 14ms by standard make this monitor unsuitable for competitive and fast-paced gaming. 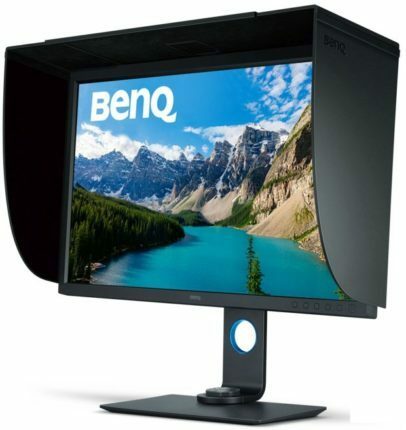 However, as the BenQ SW320 monitor is intended mainly for professional purposes, the response time will take care of screen ghosting while you’re editing or doing any other similar activity. The BenQ exclusive feature GamutDuo will allow you to have two different type of color spaces displayed next to each other with Picture in Picture and Picture by Picture modes. By connecting additional PC or compatible device through the port, you can have the same display depicted in both sRGB on one side of the monitor and Adobe RGB on the other at the same time. Another quite interesting feature is the black and white preset. You’ll be able to apply the black and white effect simply by selecting one of three available presets and have the preview of your photographs with the black and white effect. Palette Master Element Calibration Software will offer you the ability to easily and effortlessly further adjust the factory calibrated settings. The factory settings are calibrated to below the 2 point DeltaE for both sRGB and Adobe RGB color spaces, however, with the hardware calibration you may adjust your preferred settings as well. Still, there most likely won’t be a necessity for it as the BenQ SW320 monitor is Technicolor certified for color accuracy and consistency. You will also get the Puck controller device along with the BenQ SW320 display. This device can be connected via the USB3.0 port and allows you to quickly navigate through the most useful features of the monitor. You will be able to use this device to quickly change between sRGB and Adobe RGB color spaces, adjust brightness and contrast, and swap between presets created for animation, CAD/CAM, or the Low Blue Light. Besides the low blue-light levels, concerning the eye protection, the BenQ SW320 display also delivers flicker-less screen quality, enabling you to work for hours to an end without straining your eyes. 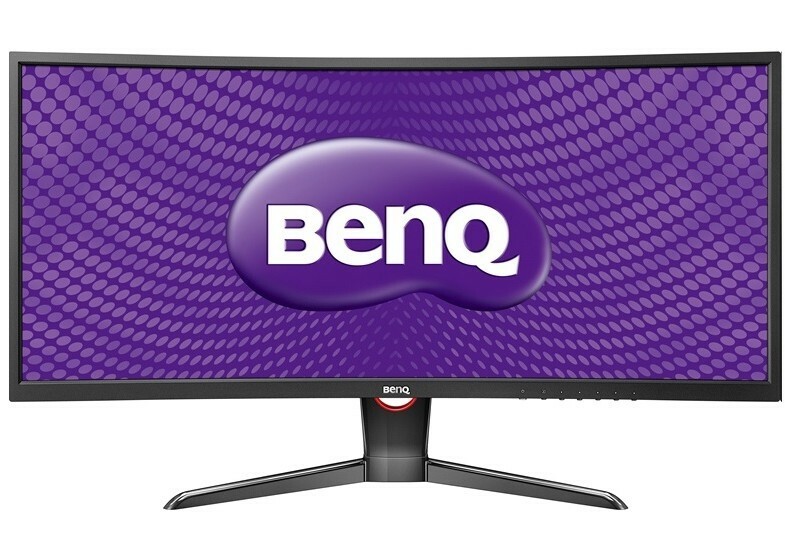 The design of the BenQ SW320 includes a versatile base stand and a somewhat thick bezel which along its dark gray color appears rather beautiful and modern. The monitor can be tilted by 25 degrees, swiveled by 45 degrees to the left and right, and pivoted into the portrait position. Furthermore, this professional designing monitor is VESA mount compatible if you decide to place it on the wall. Along with the monitor, you will also get a shading hood which can be placed on the monitor in both landscape and portrait positions in order to completely eliminate the ambient lighting reflection. Moreover, the screen itself is covered with an anti-glare coating. The OSD buttons are neatly placed beneath the bottom bezel at the right side. Although you can also use the PUCK controller which can be used to quickly navigate between various presets and settings, the OSD menu itself is also straightforward and simple to use, as expected from the BenQ monitors. The ports of the BenQ SW320 display include the latest versions of the HDMI, DisplayPort, and the miniDisplayPort. The HDMI2.0 port can support the 4K resolution with up to 60Hz for full resolution 4K 3D display while the DisplayPort1.4 standard offers better color support and the HDR compatibility. All these ports support the latest version of the HDCP2.2 (High-bandwidth Digital Content Protection) which makes sure that your UHD digital content won’t be possible to be illegally copied. Besides these, there are also two USB3.0 ports available. The HDMI and DisplayPort cables are included with the purchase. In addition to these, in the box the BenQ SW320 PC display you will receive the shading hood, the PUCK controller, USB3.0 cable, a CD, QSG, and an individual calibration report. 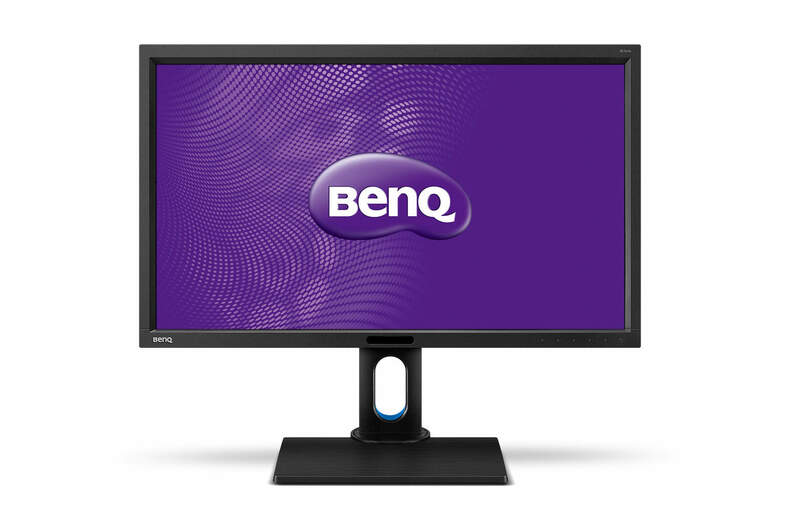 The price of the BenQ SW320 is still unknown, but considering its state of the art and revolutionizing features and attributes, an expensive price won’t be a surprise. After all, with this monitor, you will be able to flawlessly create UHD media, given that you have the skills for it. We can hope that when this monitor is released in January 2017, the price won’t be too shocking and allow professional designers to afford it and spread their artistic masterwork. Based on our current info, we’ll give this a rating of 8.7/10. The BenQ SW320 promises a lot of things, including 3840×2160 (4K UHD) resolution, 10-bit colors on an IPS panel, 5ms response time and HDR support as well. All in all, it looks to be a great monitor upon release. Why is this monitor on this site? I come here to anticipate and read about higher refresh rate monitors… this is just a 60hz. Please don’t get me hyped up and then have to sift through these other monitors :(. Less is more… thanks!